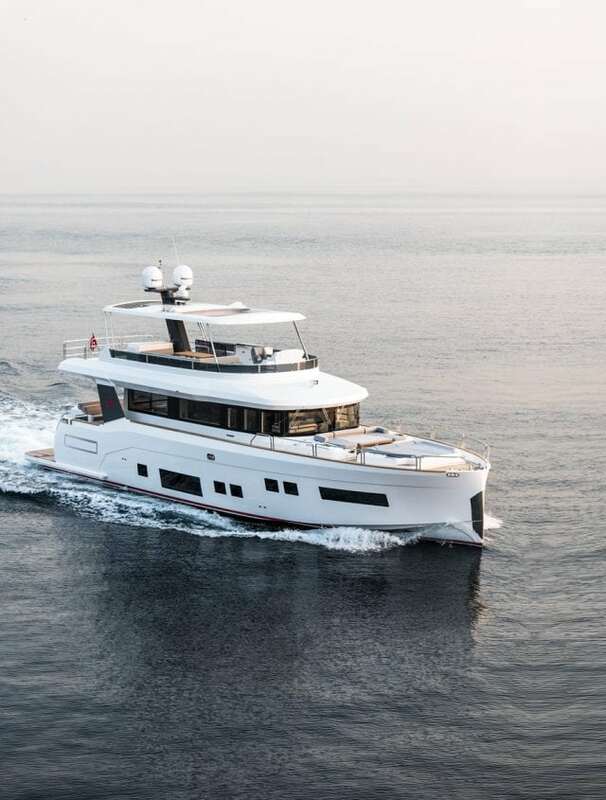 Sirena Yachts—the new Sirena Marine motoryacht brand—called upon some of the best names in the business to design its first models: Germán Frers for naval architecture and Tommaso Spadolini for interior design. 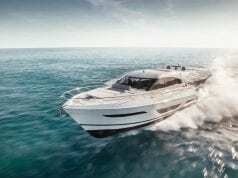 The result is the Sirena 64 (68′ 1″ LOA, 19′ 3″ beam) with voluminous interiors and a low-drag hull capable of planing at high-speed or cruising or semi-displacement ode with great fuel efficiency. Space is a hallmark of the refreshing, light-filled interior with the owner’s cabin offering an industry-leading 260 square feet. 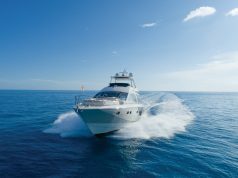 With the standard 850-hp CATS, she reaches 27 knots; at 10 knots, she has a 1,000-nautical mile range. 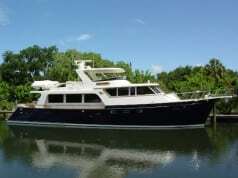 High fuel and water capacity adds to her credentials as a serious world cruiser.